Check out this new log off screen Club Penguin has updated onto their website! 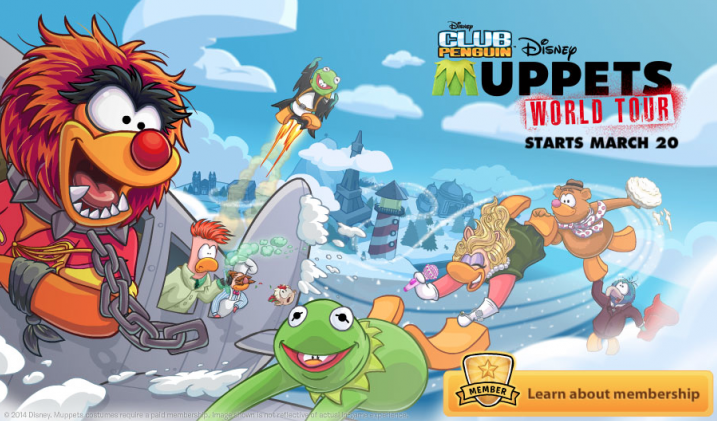 Club Penguin has already said that we're going to be able to dress up as some of the characters from The Muppets. There are many interesting things in this photo! It seems like everything is happening crazily! What else do you find in this picture that may be a sneak peek? Leave a comment!